Steve Harvey is pretty damn presumptuous. He wrote Act Like a Lady, Think Like a Man, assuming that women want his dating advice (side note: he's been married three times). 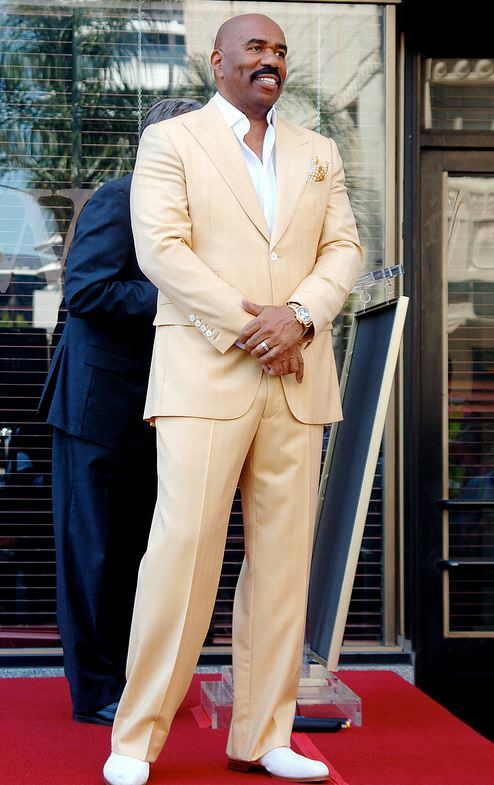 And he hawks his own line of men's suits — The Steve Harvey Collection, natch — assuming that dudes admire his goofy getups. Another side note: the brand's tagline is “Enhance Your Swagger”. More like "Enhance your collection of ill-fitting suits and bad ties."